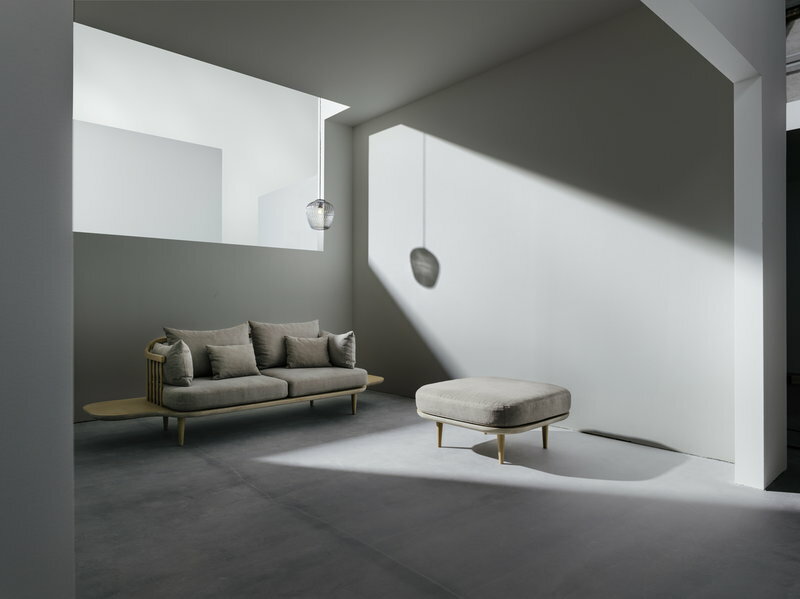 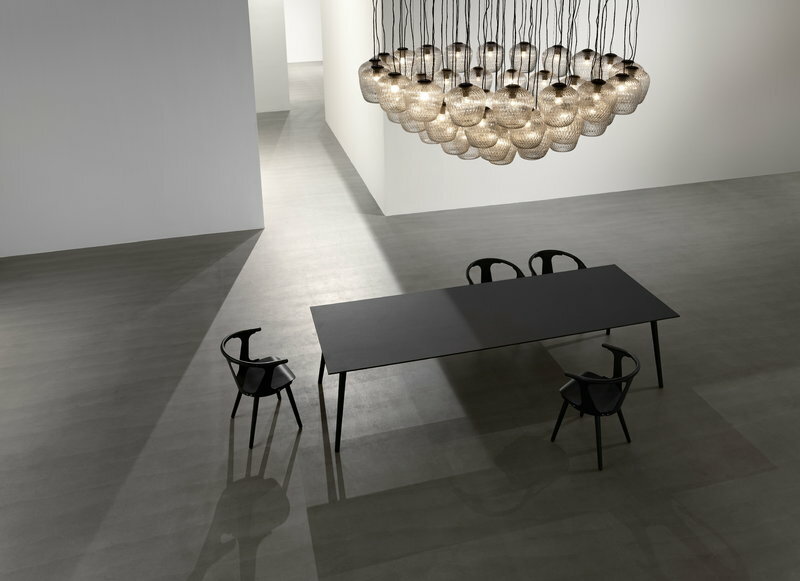 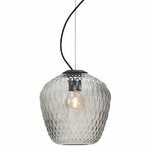 &Tradition’s Blown SW3 pendant light in silver casts a beautiful pattern of light in its surrounding space. 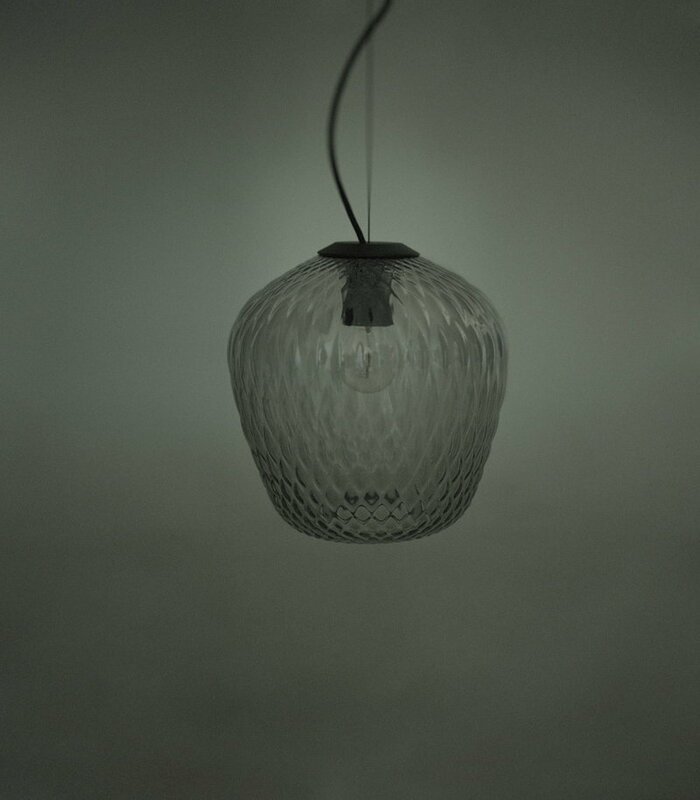 Blown is Samuel Wilkinson’s study of light’s reflection and refraction in glass, taking inspiration from antique ceramics, old lamps, lighthouses and the arrangement of seeds in berries. 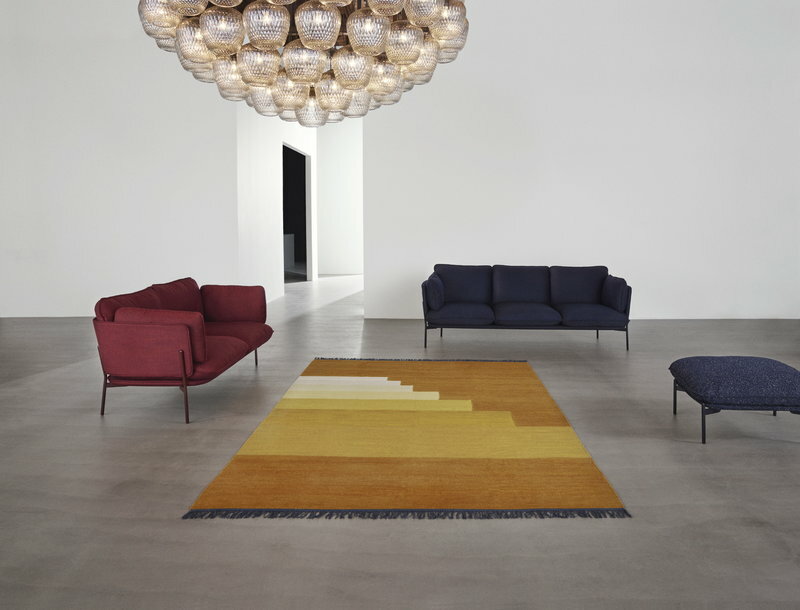 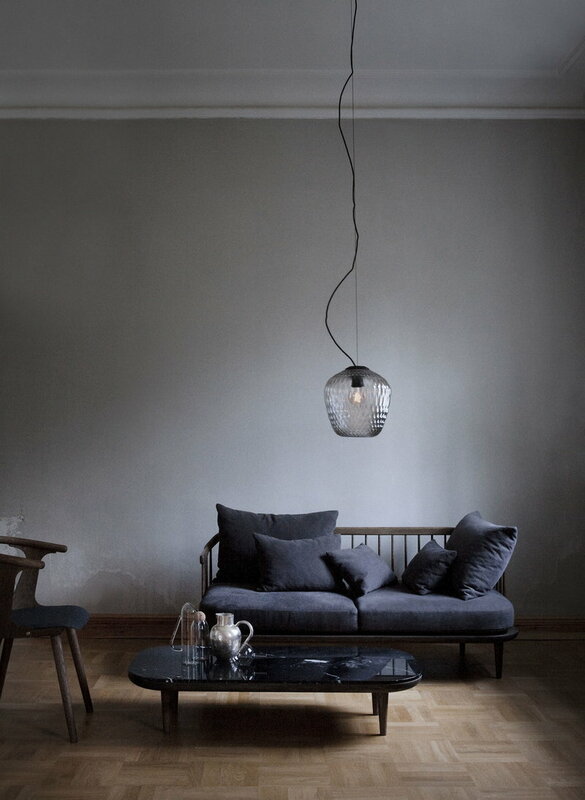 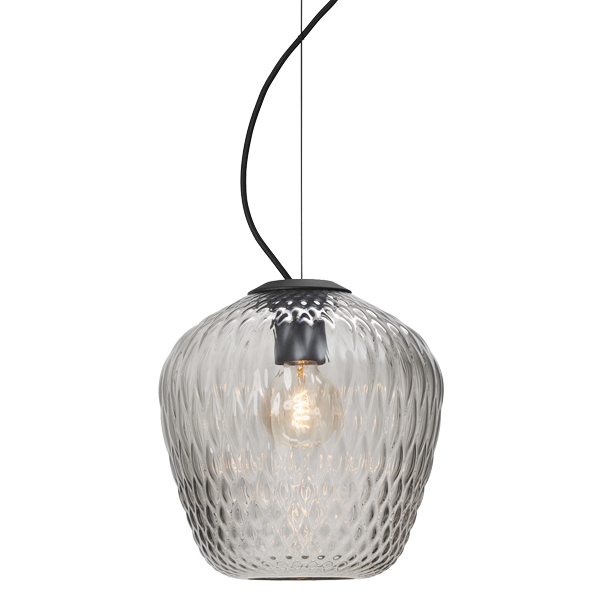 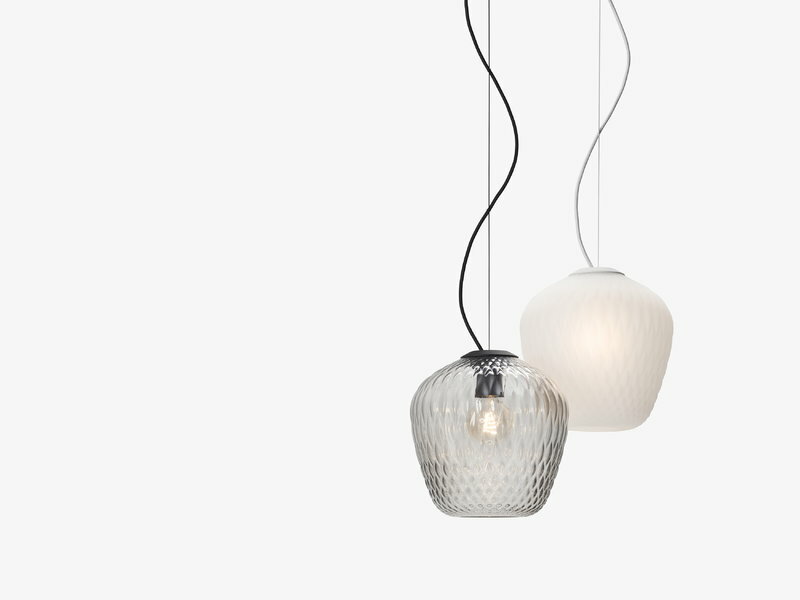 The mouth-blown glass shade features a matte powder-coated metal suspension and a fabric cord.